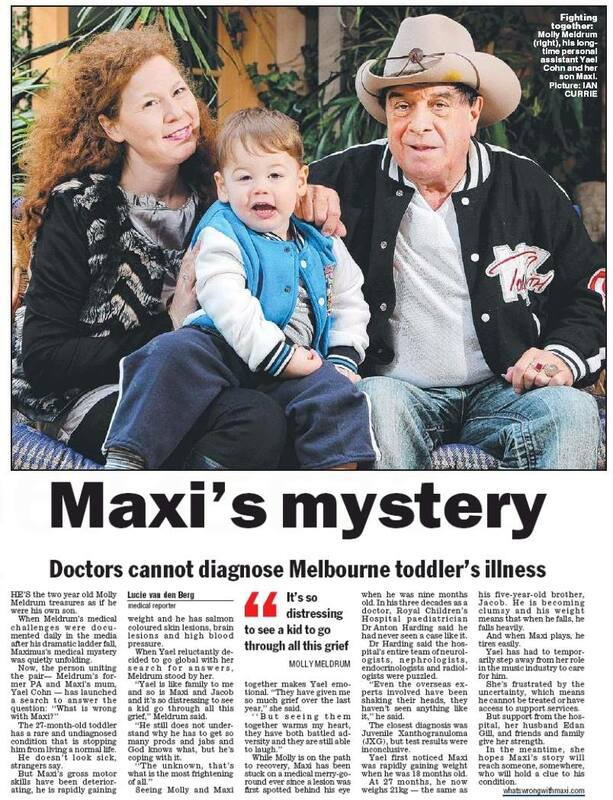 undiagnosed – What's wrong with Maxi? One boy, one world, one fight, one life. But maybe too late for some. We know it’s your neighbour, your friend, your Aunt May. The clock is ticking too. We lost something the day we learnt this fate was meant to be. Our dreams torn away, in a matter of one day. We play, we love, we live, we party and rarely let it get us down. We have taken this in our stride and we reach for the stars, for no matter what? Where? Who? And when? As long as we’re together, we are happy again. 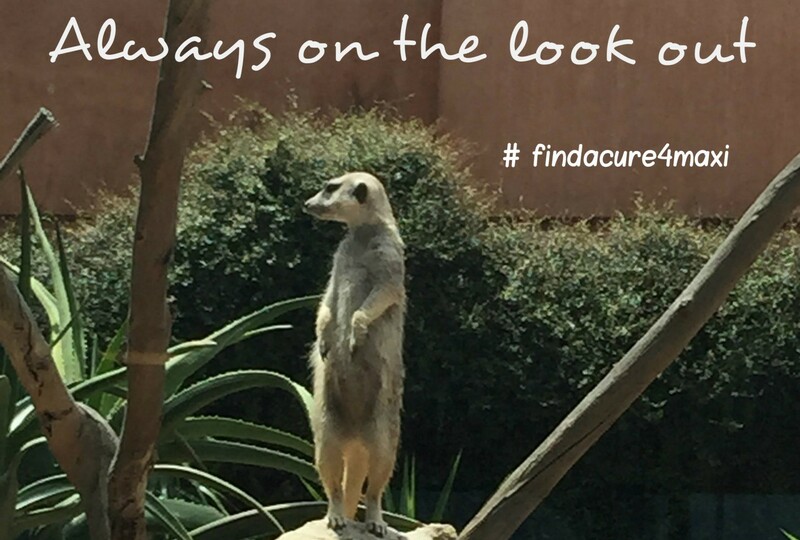 Creating awareness, and, never giving up the fight. To save our child, from this deep black hole. 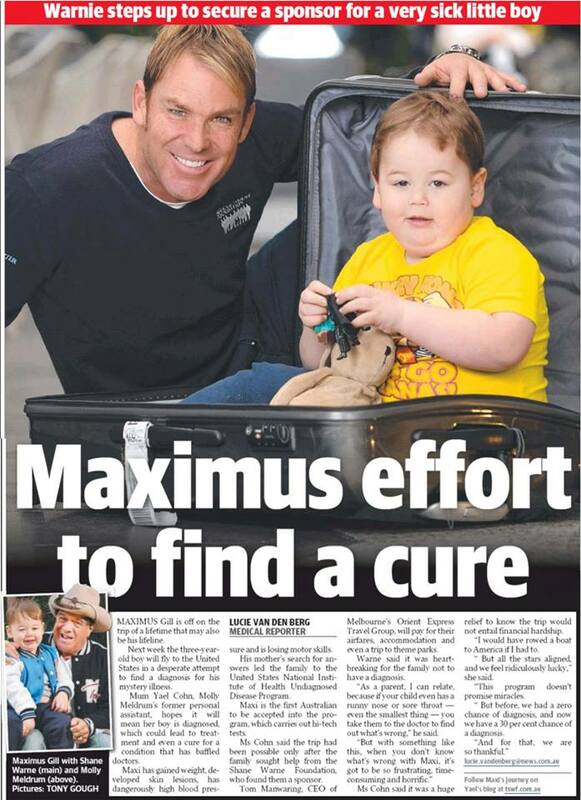 Thank you Syndromes Without A Name Australia for inviting me to do a talk on Maximus @ Royal Children’s Hospital – Genetics Seminar, and big thanks to GSNV for publishing the talk on their site. I want to thank you first of all for all you have done for me and continue to do even though you seem to be tirelessly searching for answers and nothing seems clear. I know what I have is different and has my family at a loss, I see the way you look at me and my skin lesions and I know it’s got you stumped, I know my parents worry and my brother sometimes finds it tough too. I just want you to know that I also know it’s hard for you. I am sorry for the times I have been difficult to examine and hitting Dr. Wendy in the face was not my finest hour, not the thanks one would expect for curing my eye from a nasty tumour. Nevertheless this is my experience that I wish to share. It’s not fair when you don’t let me eat my breakfast to fast me and put me on another machine, and that mum and dad don’t let me eat as much as I would like – the no more sweets rule has offended me deeply. They make me take medicine, and even wake me up when I am sleeping to take it. I don’t like sleeping without my mum, she sneaks off when I am asleep, I usually wake up a few hours later and call out to her, and dad has to come and get me to take me to mum, every night. I like to be carried!! My mum won’t carry me very often, because she has hurt her back, this devastates me at times. Even dad has trouble carrying me at times, I like to be carried because I am often tired and need to rest and I love to cuddle. I am very heavy, when I fall it really hurts and it makes it hard for me to get around. I used to run up the stairs but now I sometimes lose my balance and need to crawl up or hold someone hand to get up and down stairs. I have a new wheelchair pram that helps holds my back up, I like it because I can sit up straight, without it I flop to the side. I remember not long ago I was able to run and jump onto the couch with ease, so it frustrates me now when I get stuck on my back and struggle to get up off the floor. Why do we keep having to go to the hospital?! Yes, mum I like the meerkats but we just saw them last week. I also find it really tiring sometimes to have to change my nappy which is too small for me and getting dressed can be very exhausting, that’s why I wont lift my legs or arms to help you at those times. And why is it that nothing ever fits me? But most frustrating of all is that being only 2 years old, I cannot tell you how I am feeling. I love to go swimming lessons with dad, in the water I am always smiling because I am free to move and my weight doesn’t hold me back in the water, I can be like all the other kids, in fact dad told mum I am the best in my class. I love my childcare sessions and have enjoyed interacting and socializing with other children my age. Mum only lets me stay for a couple of hours because I get very tired. My favourite things are my friends and family, Leggo, Buzz Lightyear and playing with my brother Jacob. Seeing mum at my appointments fumbling through her long list of questions, you probably find her a bit over the top, but you can see she is just another mum that cares for her boy and am grateful that you give her your best attention and obviously care for us. With my loving family I am well armed to battle this mystery illness and I salute you, the generals of my army. To Infinity and beyond! Buzz Lightyear to the rescue. Maximus is our beloved 2-year-old boy who lives at home with mum, dad and his 5-year-old brother Jacob. Up until 9 months of age, Maximus was a happy, healthy boy. One day an eye tumour appeared, followed by several skin lesions. 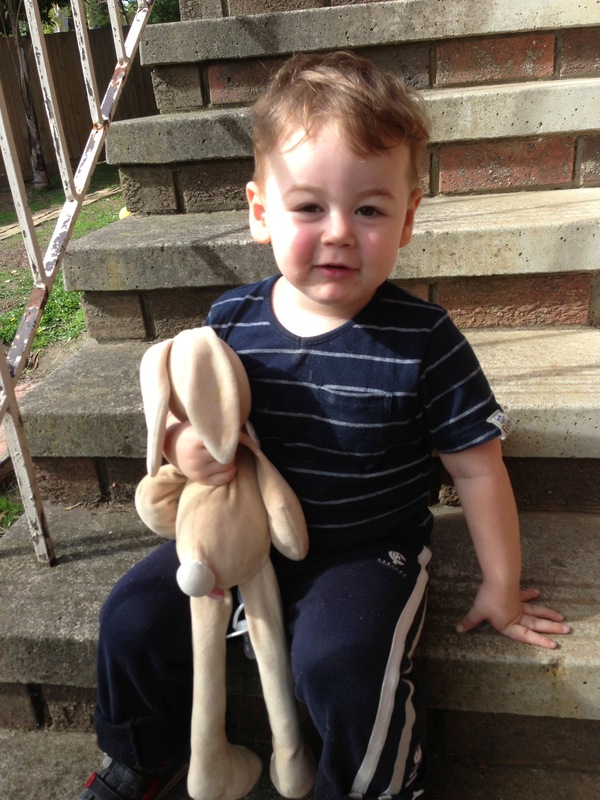 By 18 months of age, Maxi had developed multiple brain lesions, high blood pressure, instability with his gross motor function and sudden, unexplained weight gain. The past 17 months have been a struggle for Maximus, with seven general anaesthetics, several hospital stays, as well as specialist and hospital visits each week. Yet there is still no definitive diagnosis. We have created this site with the hope that someone will see this story and know something that we don’t. We want to know; What’s wrong with Maxi? We all know how dangerous Google doctoring can be, but I have read of cases where parents have discovered a diagnosis themselves by doing research and observing their child. This is because a parent has 24 hours a day to obsess and research a prognosis, whereas a specialist can only devote small amounts of time to one patient. 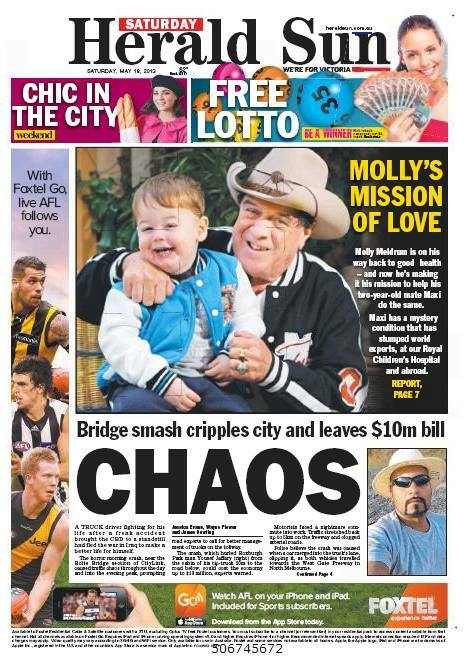 So we thought the more people who see this story, the better chance Maximus has of coming closer to a diagnosis. 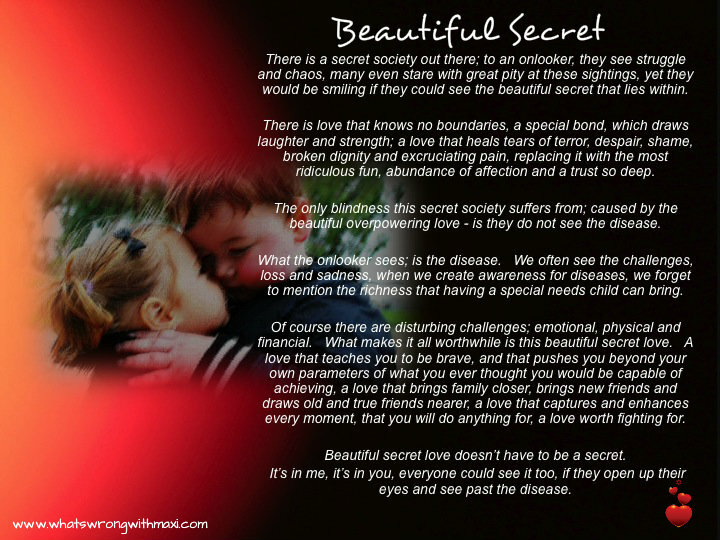 We also feel it’s important to share some of our struggles and joys with others as this may inspire, help or somehow make a difference for other parents going through similar situations. Even though we live in Australia, we need to access the rest of the world to help us. We have tremendous resources in Australia, but sadly it’s never enough when your child remains undiagnosed and there is no apparent cure for what is a degenerative condition. For more detail on Maxi’s journey so far please click on Maximus’s Story tab above. For details on how you can help, click on How You Can Help? tab above. For recent media interviews and articles click on Media tab above. Please Follow, Like, Share, Subscribe… this is War – against the unknown, we need an army of strength to fight it….. we want to win.